Saxo Bank, the online multi-asset broker, announced today the appointment of Alessandro Bressan, as Global Head of Equity Products. 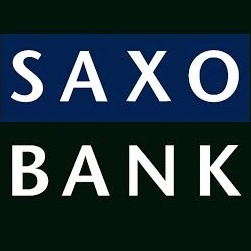 According to the firm, this appointment marks a further step in the implementation of Saxo Bank’s ‘one bank, one platform’ strategy aimed at building product coverage across all main asset classes to meet the needs of both individual investors and its institutional client base. Alessandro will be based in London where he will also assume responsibility for UK sales covering European clients as well, reporting to Dennis Malamatinas, Global Head of Regions and Global Marketing. He joins Saxo Bank with more than 15 years’ experience in equity sales and trading, most recently at Deutsche Bank where he was Global Head of dbIntegrate Sales, a front to back office solution for equity execution, settlement and custody. Prior to Deutsche Bank, Alessandro spent almost eight years at Morgan Stanley where he worked on the equities electronic trading desk, covering clients trading equities, futures and options, as well as swaps. Latterly, he also held a cross-divisional role in prime brokerage sales and electronic trading, leveraging the synergies of the two businesses to provide an integrated service to hedge funds.